Hypertension is defined as persistent elevation of systolic blood pressure (BP) of 140 mmHg or greater and/or diastolic BP of 90 mmHg or greater. Your heart works like a pump. It contracts and relaxes. The Blood Pressure measurements are in two readings e.g. 130/85 mmHg. The classification of high blood pressure is important. 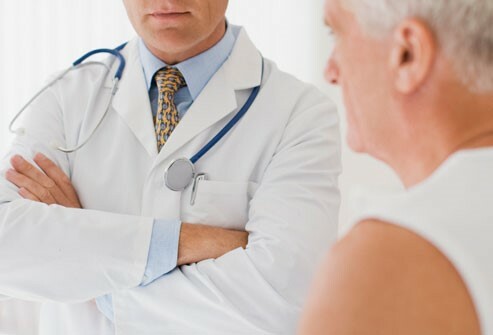 Your doctor must make treatment decisions based on the measured blood pressure and your pre-existing cardiovascular risks if any, for example : diabetes mellitus, high cholesterol, etc. Table 1 defines the grades of blood pressure according to its severity. It is based on blood pressure for adults aged 18 and older who are not on treatment for high blood pressure. The blood pressure is taken from an average of two or more blood pressure readings measured at two or more visits after the initial visit. Primary hypertension is the most common form of hypertension, accounting for 90–95% of all cases of hypertension. It is also known as essential hypertension. The cause of primary hypertension is unknown. Secondary hypertension only comprises of about 5% of all cases of hypertension. Some of the causes are treatable. 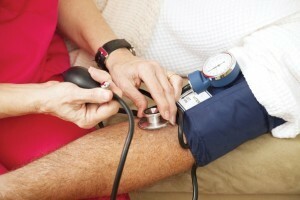 If the underlying treatable disease is cured, the patient’s blood pressure may return to normal. The details of secondary hypertension will be discussed further in next subtopic. Isolated office (“white-coat”) hypertension is a condition described in patients whose BP is consistently elevated in the physician’s clinic but normal at other times. The term “white coat” comes from references to the white coats traditionally worn by doctors. It is accounts for 10-15% of hypertension. The patient’s clinic blood pressure is persistently above 140/90mmHg. White coat effects will often happen because the subjects are nervous about having their blood pressure tested by a doctor or nurse. Isolated systolic hypertension is defined when systolic blood pressure is elevated (>140mmHg) but the diastolic with a blood pressure is normal (<90mmHg). It is the predominant form of hypertension in persons older than 50 years old. Pre-hypertension is defined as systolic BP 120 to 139 and/or diastolic BP 80 to 89 mmHg, based on 2 or more properly measured seated BP readings on each of 2 or more office visits. Patients with pre-hypertension are at increased risk for progression to hypertension. Pre-hypertension is also commonly associated with other cardiovascular risk-factors namely high cholesterol, diabetes mellitus and obesity. Primary hypertension is the most common form of hypertension. Patients with pre-hypertension are not at any risk for progression to hypertension.